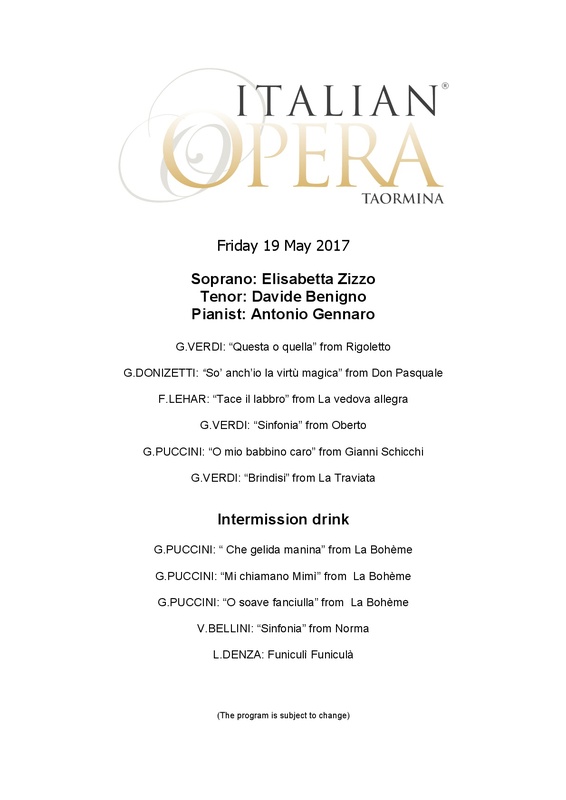 As every year, our Ionian Pearl, hosts the Italian Opera Taormina 2017 an extraordinary journey into arias and duets from the greatest Italian Operas. 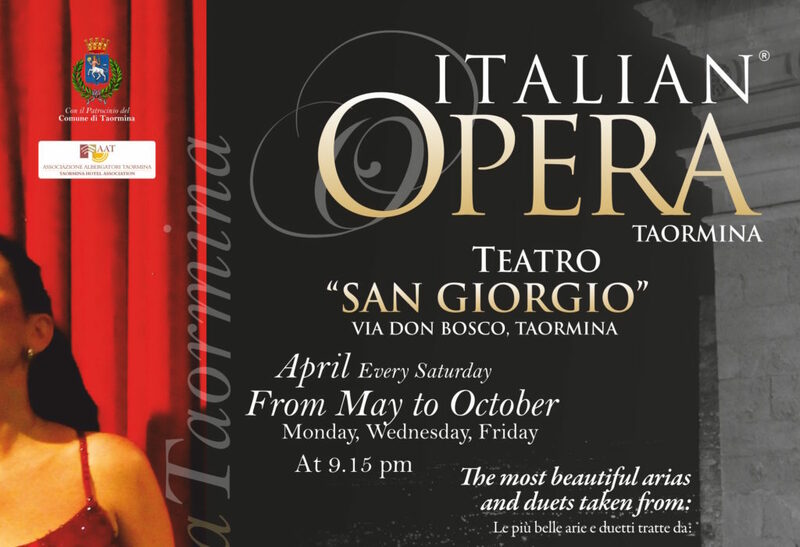 Every Saturday of April at 21.15 pm and from May to October every Monday, Wednesday and Friday at the San Giorgio theatre, many famous operas will be played, interpreted by professional singers, with piano accompaniment. The evening will start with a welcome cocktail / drink in an extraordinary and suggestive location, with the stunning view that Taormina offers. Italian Opera Taormina 2017 has the will to organize Operas that can be “reached” by everyone, neophytes and passionates of one of most ancient music movements of all times.